While exploring Helsinki, we stumbled upon a Finnish microbrew festival. He loves microbrews, so we had to check it out. It was a good chance to meet and talk with Finns. Everyone had told us that the Finns are reserved and not the sort of people to use two words when one will do. When drinking, this does not appear to be the case. 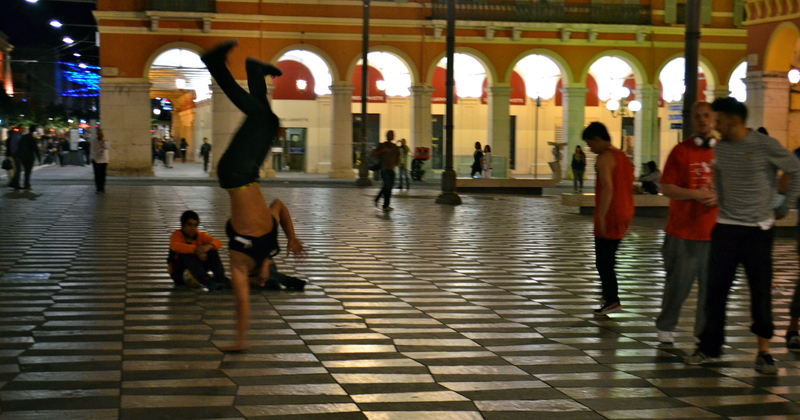 We were repeatedly engaged in conversation by nearby Finns. We really enjoyed chatting about their country, beer and life with them. While you might not be able to name a single Finnish brew as they don’t export a lot of it, they have a surprisingly good microbrew culture. The Finns are making some fantastic microbrews. 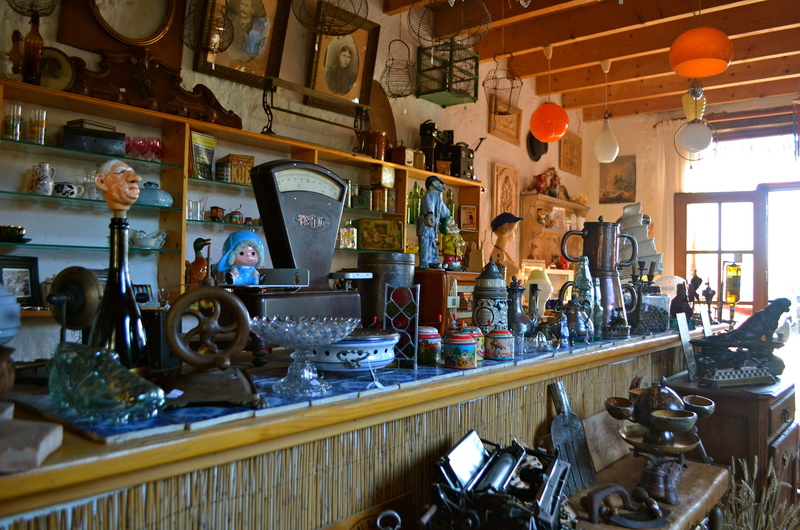 If you’re traveling there, they are definitely worth seeking out. There were too many participants to name them all. They weren’t all crazy beers, but for the traditional Finnish beer drinker, the IPA’s Ale’s and Stouts were probably different than what they grew up with. However, a growing number of Finns are choosing microbrews instead of the typical beers produced by big global brewing conglomerates. Karhu (which translates to bear), a traditional Finnish beer, is now owned by Carlsberg. Many people report boycotting it post acquisition, however a decline in sales cannot be verified. Small breweries only account for about 1 percent of Finland’s total beer consumption in Finland, but it’s growing each year as Finns develop a taste for more character filled craft beers. With such good local brews to choose from, it comes as no surprise. Our favorite was the Malmgård’s Brewery. Their Dinkel and Arctic Circle Ale were exceptional. We met the head of marketing who told us a bit about the brewery, beer in Finland. The brewery’s products are produced by hand in small batches using clear spring water, the domestic malts, cereals from the farm’s own fields. They don’t use any additives. Malmgård has both the standard craft beers and more adventurous products. If you’re in the US, you can get some through Shelton Brothers in shops featuring organic and locally produced products. I know, I know. The blonde Swede is such a stereotype, but in the Nordics I couldn’t help notice there were a lot more blondes around. I took a look around me on a boat. This is what I saw. Last year, I wrote about men in spandex. Well, with the warm temperatures, people are showing more skin. You gents are no exception. I’ve seen a fair bit of y’all. You’ve seen men in spandex. With the approach of summer, I bring you another cultural difference, men in Speedos. This swimwear is rather foreign to us. Unless you are a competitive swimmer, you just don’t see this in the US, where most guys wear boardshorts or some other type of swimsuit short. Michael Phelps, Ryan Lochte, Cullen Jones, and Jason Lezak all wear them, but then again they are also wearing goggles and swim caps. Sometimes, they don’t even wear them, opting instead for those fancy new super fast getups. I think they are called the Speedo Endurance Jammer. Anyway, in the US, non-competition swimmers just generally don’t wear Speedos. You don’t see them at the beach. Department stores don’t usually even stock them. 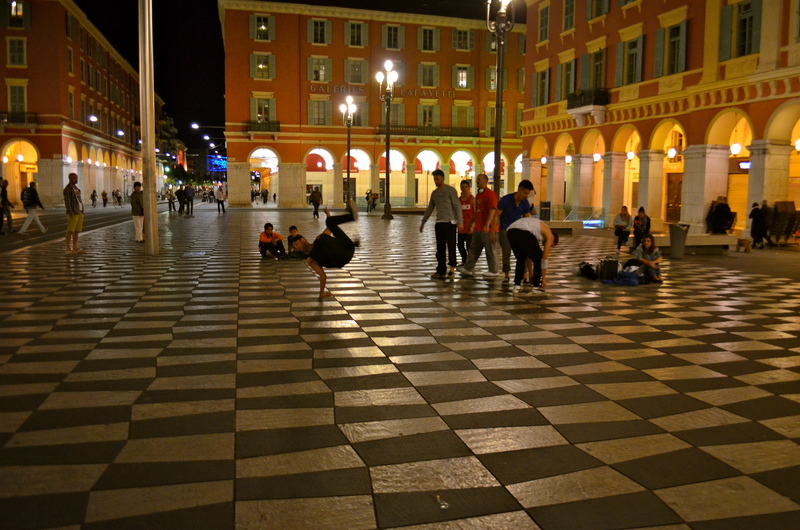 As you can see from the above photo, in France you have many options. 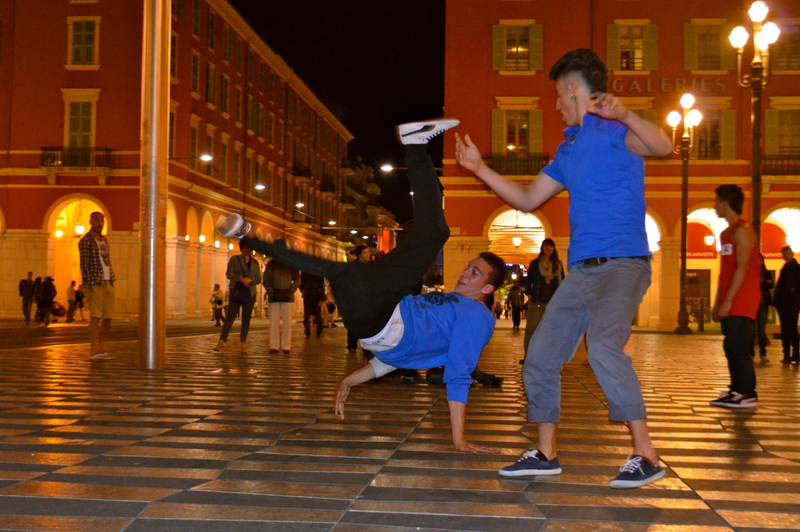 The only thing to say is “wow,” this style is definitely another cultural difference. Don’t Let The Cows Out! In the US, we have a strong tradition of property rights. In theory, every man (and woman) is the king (or queen) of his castle (or trailer) and can do what they want with their land, including barring others from trespassing. 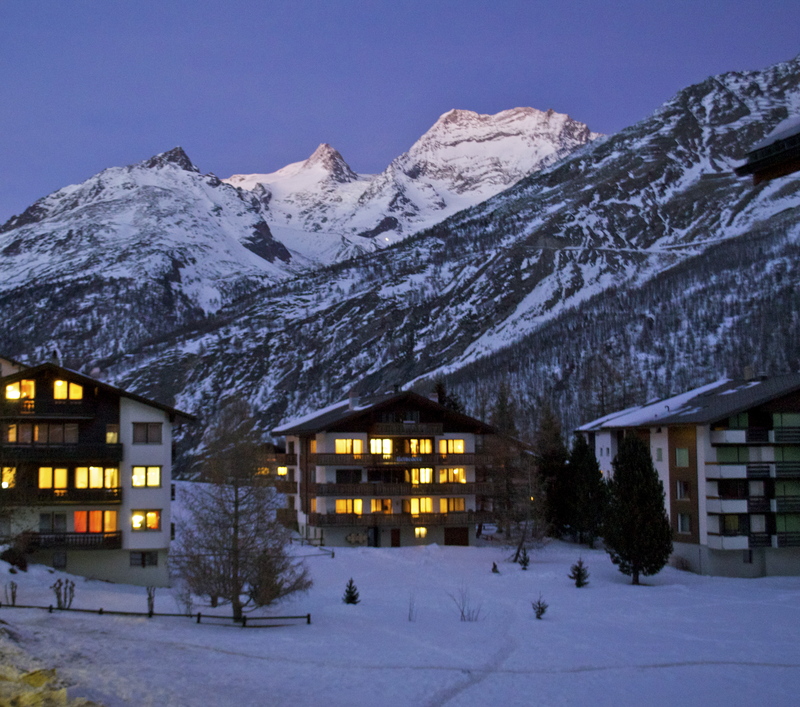 Other countries, like Switzerland, have a different take. There, landowners are regarded more as stewards of the people’s land. 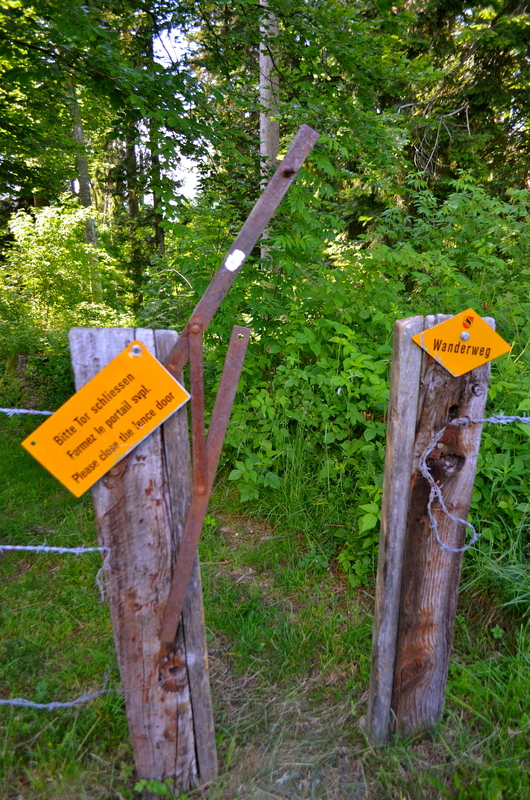 As a result, Switzerland’s hiking trails (known as Wanderweg, Tourisme Pédestre, and Sentiero Escursionistic in German, French and Italian respectively), cross through people’s property. With around 60,000 km/37,282 miles of in such a small country, how could they not? 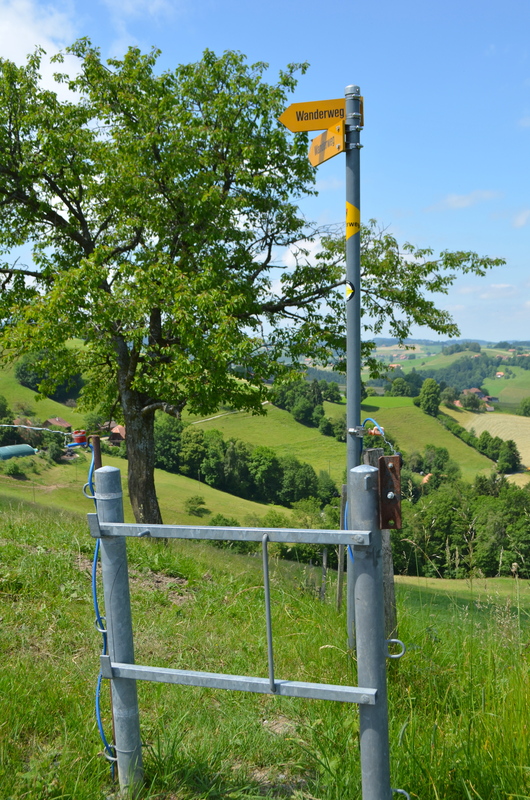 Yellow diamonds mark hiking routes (some cultural trails, old pilgrims’ roads, etc. have brown signposts). 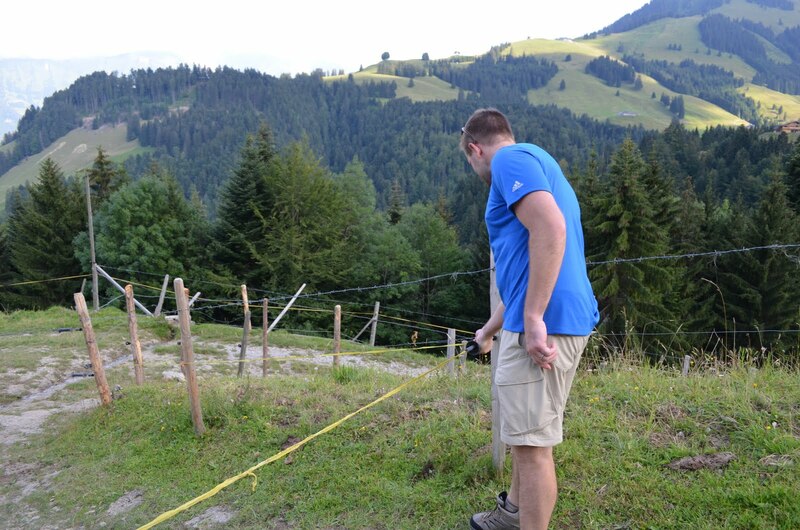 When we first arrived in Switzerland, we weren’t sure whether we would get in trouble for following the trails. They lead through people’s pastures, woods and yards. We even followed one right through the middle of someone’s barn! I know, for an American who grows up with “get off my land,” this is a hard concept to wrap your head around. Farmers receive significant benefits from the government so they don’t seem to mind to much. 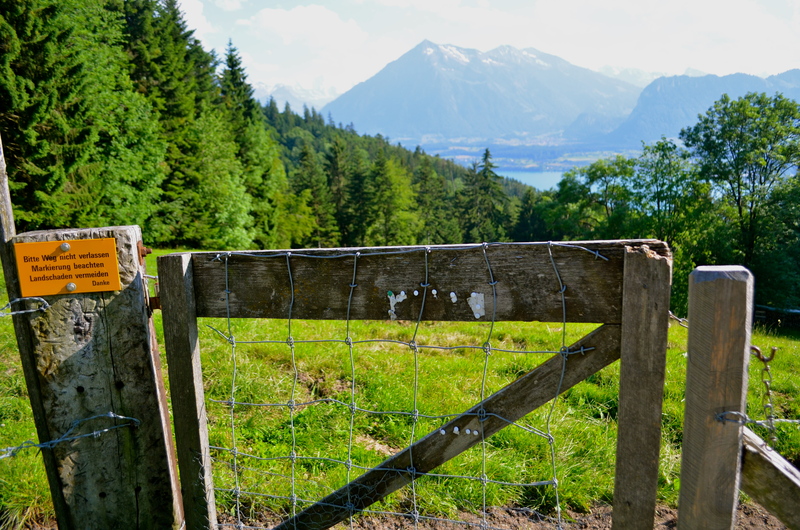 If the Swiss government made me a steward of the land and defrayed the cost of my insanely beautiful mountain views, I wouldn’t mind hikers either… as long as they didn’t let my cows loose. 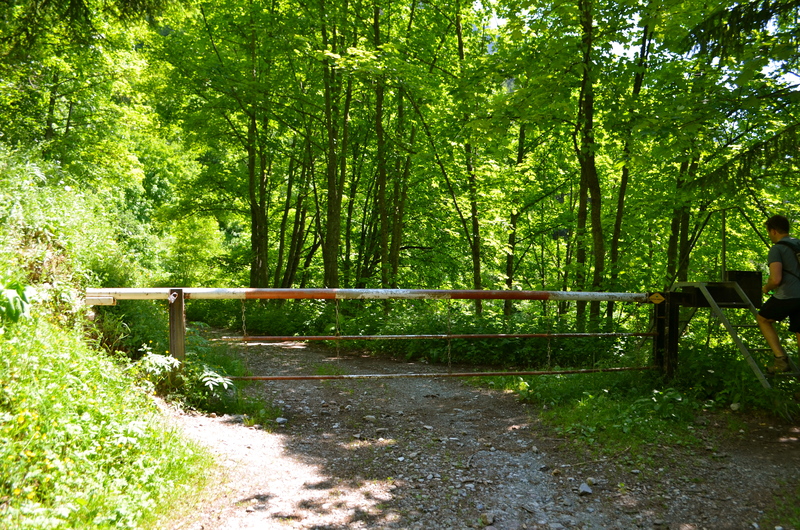 We’ve never seen so many types of cow barriers – and he grew up on a farm! 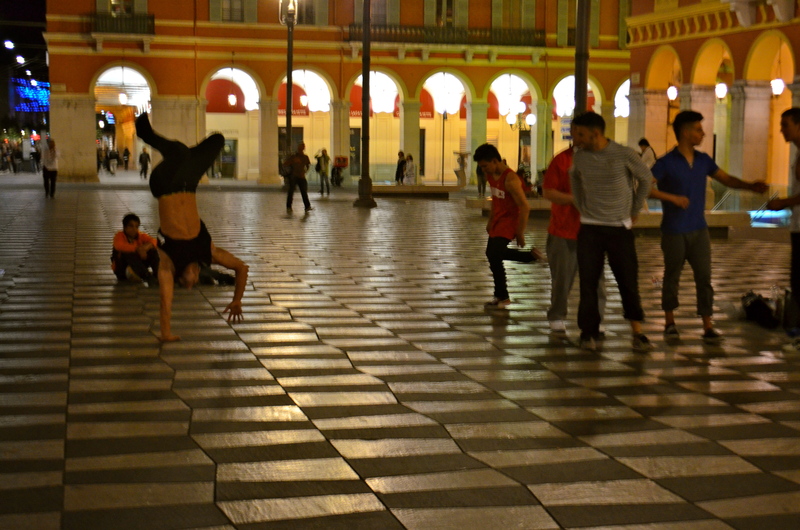 Amazed by the variety, I started taking pictures of them. Who knew there were so many different ways to keep cows in? Note the little ladder for people to walk over on the right side in the photo above. Genius. Not that it couldn’t be improved by a railing. 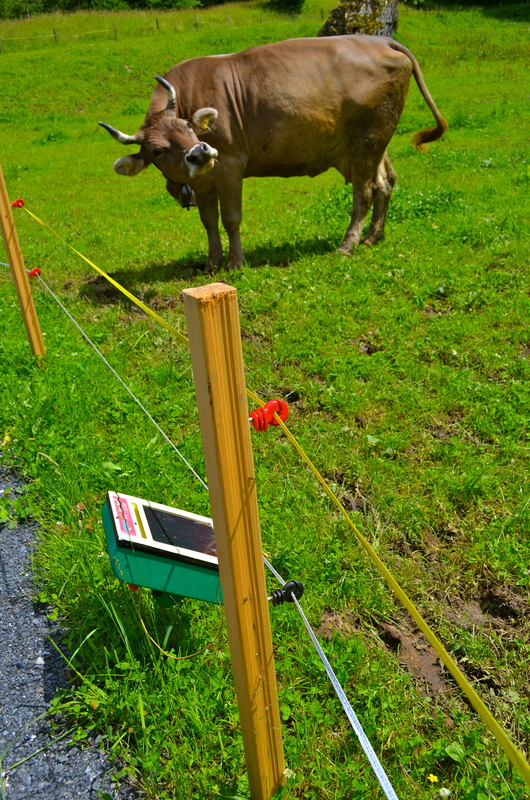 Solar powered cow fences like the one below are pretty common. Now I’ve seen everything. 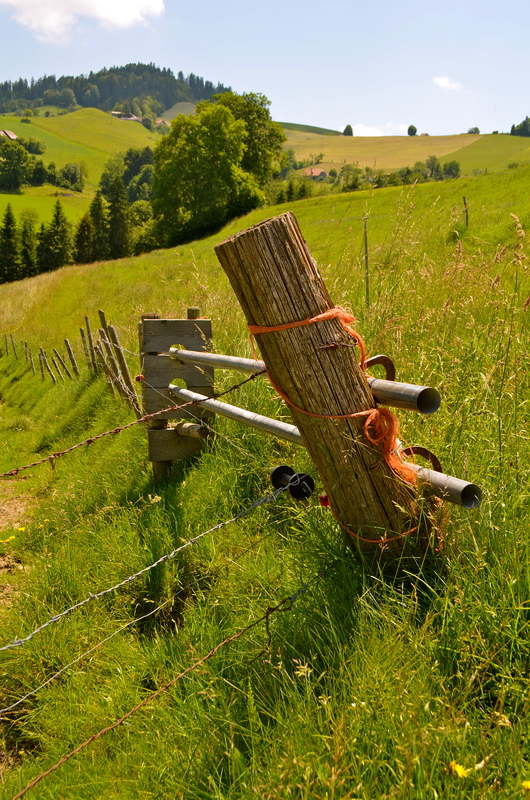 Some fences are a little more old school. 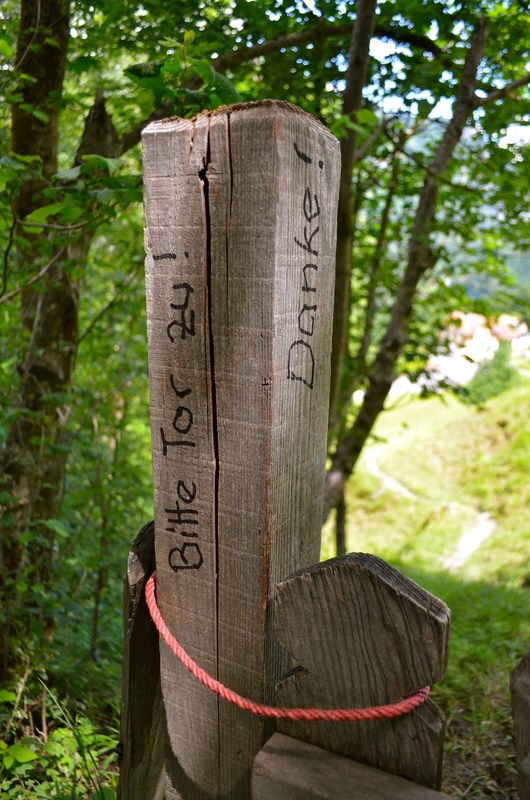 I like how they wrote “please close the door” in Sharpie (in German) on the gate post. Whatever you do, be careful, when taking pictures. Don’t back up into one of these bad boys or you are in for a nasty shock. Take my word for it. You see some good old-fashioned American-style barbed wire too. It’s not good to back up into either. You’d think I’d learn, but with views like these, it’s easy to be distracted. The turnstiles are pretty cool, kind of like getting on the subway. You see, in Switzerland, they take their cows pretty seriously. If you have tasted their dairy, you know why. In fact, it was just in the news last week that dairy farmers in Switzerland are field-testing a new device that allows cows to send texts to show they are, um, feeling frisky. Yep. You read that correctly. 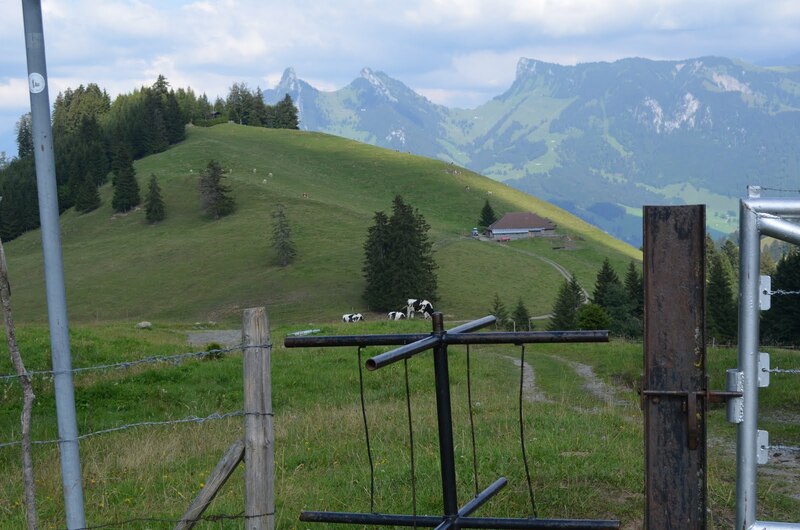 Some Swiss cows are have sensors that gauge their readiness to mate and sends their owner a text message when they’re in heat. 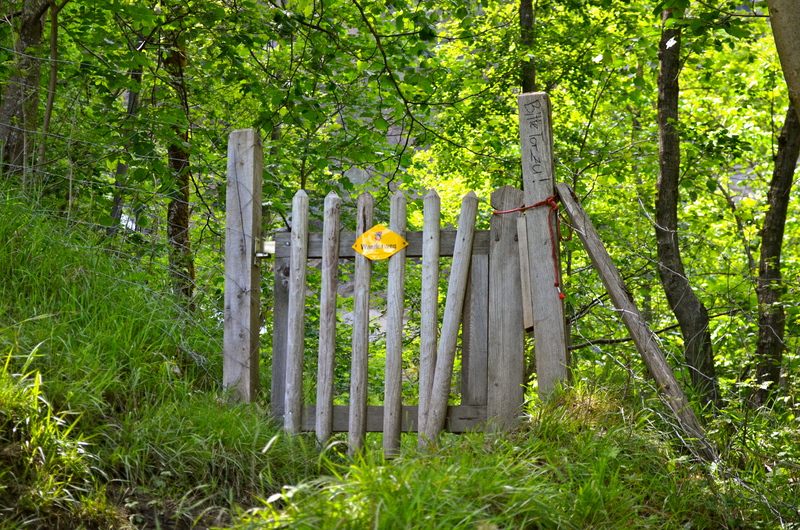 Whatever you do, just be sure to close the gate and don’t let the cows out! Who knows what kind of trouble they could get up to? This post doesn’t have anything to do with America’s obesity epidemic. 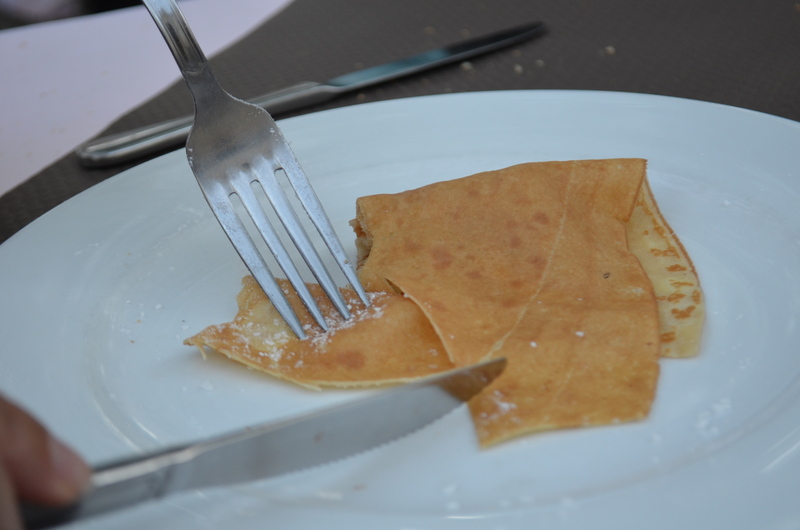 It concerns customary fork and knife handling (aka their utensil etiquette). Years ago, someone told me that it was easy to tell I was American when I ate. It wasn’t the massive amount of food I shoveled into my big mouth at an astounding rate. They told me that Americans are easy to spot because they tend to cut their food with the knife in their right hand and the fork in their left hand. After cutting their food, they set the knife down and switch the fork to their right hand to eat. 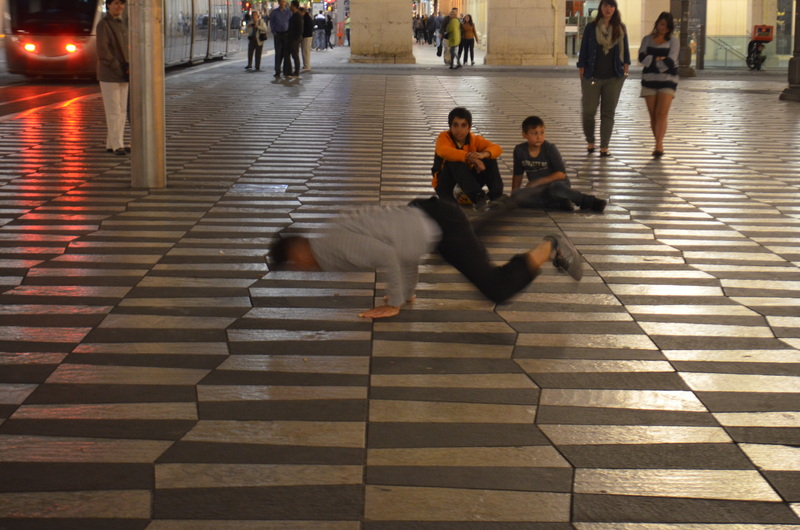 They told me that a spy gave himself away as an American by doing this and lost his life. Knowing that my life could rest on this small habit, I promptly changed to the European method and haven’t looked back (just don’t ask me to right-click with my left hand). 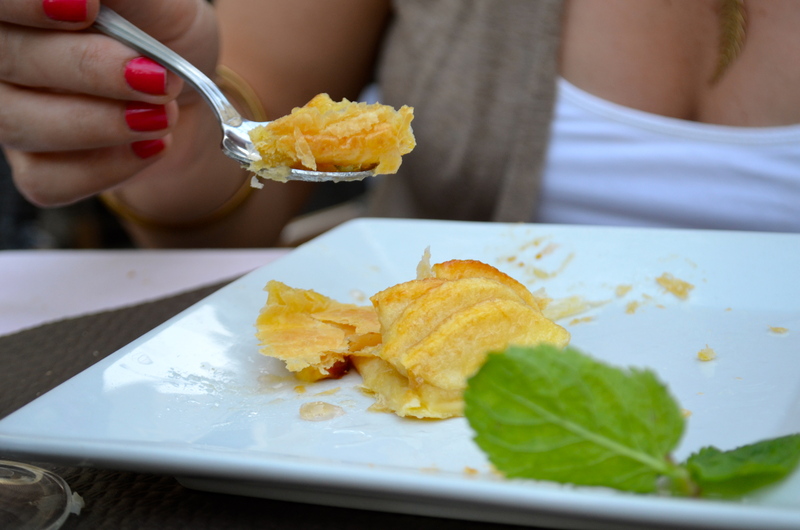 Always eat with knife in one hand and fork in the other (except for fondue). I have seen people eat open-faced sandwiches with a knife and fork. 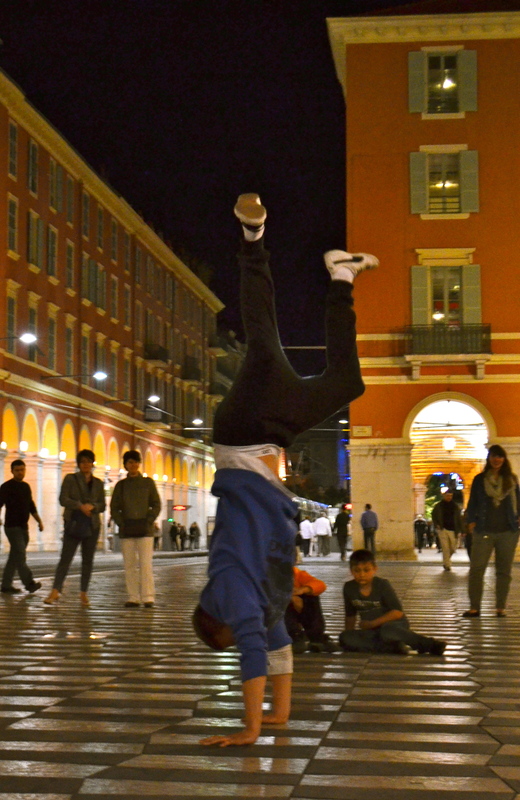 Although I found it difficult, I did it too. When in Rome, right? I didn’t want to be the bad American with horrible table manners. 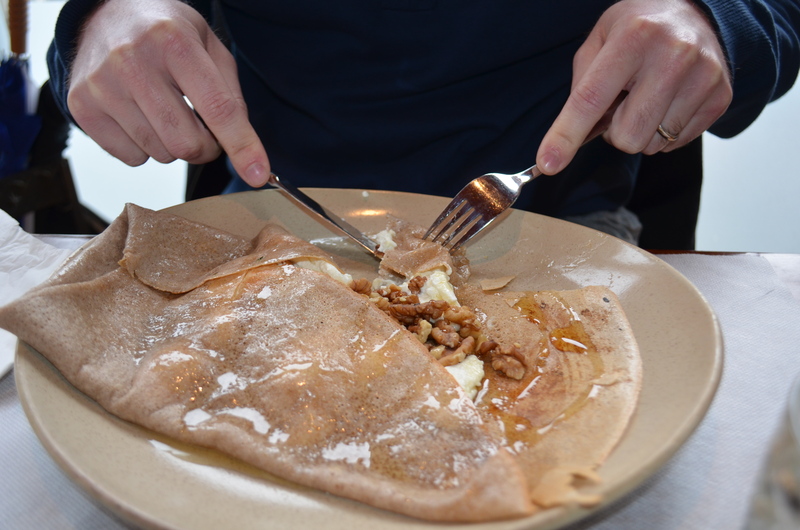 Under no circumstance are you to switch the fork to your right hand from your left. Note the palms concealing the handles of the utensils in the top photo. Americans tend to hold their fork like a pen. If you are a spy, don’t let this detail ruin an otherwise seller performance. Do not put your one or both of your hands in your lap at the dinner table. This even borders on rude. Here, people put forearms and/or elbows on the table when they aren’t eating. That’s also different for me because on the US elbows on the table is considered rude. Take bread and wipe your plate until it is sparkling clean. The bread here is very good, so this should not present any difficulties. If this seems like a lot, you could just avoid the knife and fork altogether and live off fondue or switch to chopsticks. Yes. That title, although said, is true. Let me explain. While some highways and bridges in the US need of repair, our highway system is pretty extensive. For the most part, it’s cheap or free. Switzerland got a late start building their highway system. They haven’t even finished it yet. 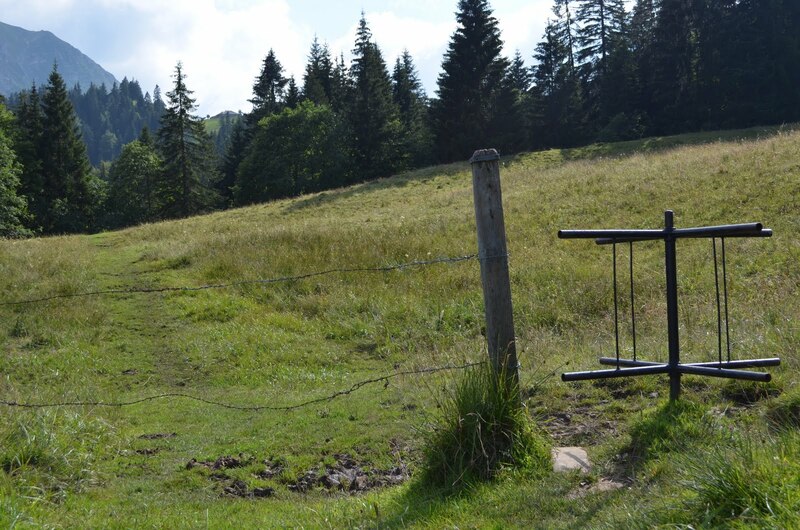 In typical Swiss fashion, it is extraordinarily engineered and well maintained. Their infrastructure is impressive; our visitors are always amazed by the tunnels. Some of it is also rigged to blow. 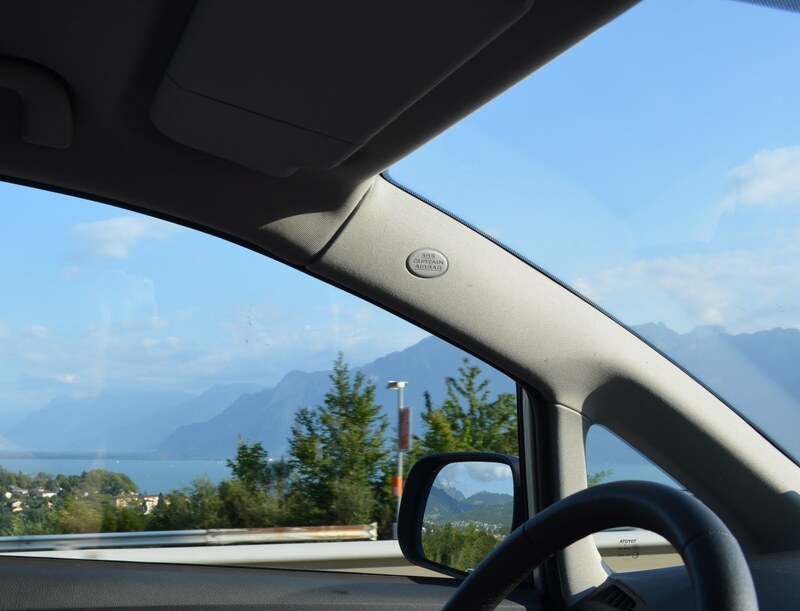 Foreigners who drive through Switzerland complain about having to pay for vignettes, stickers that allow the vehicle to travel on Swiss highways. You purchase them at the border (or at the post office) for 40 CHF and they are good all year. 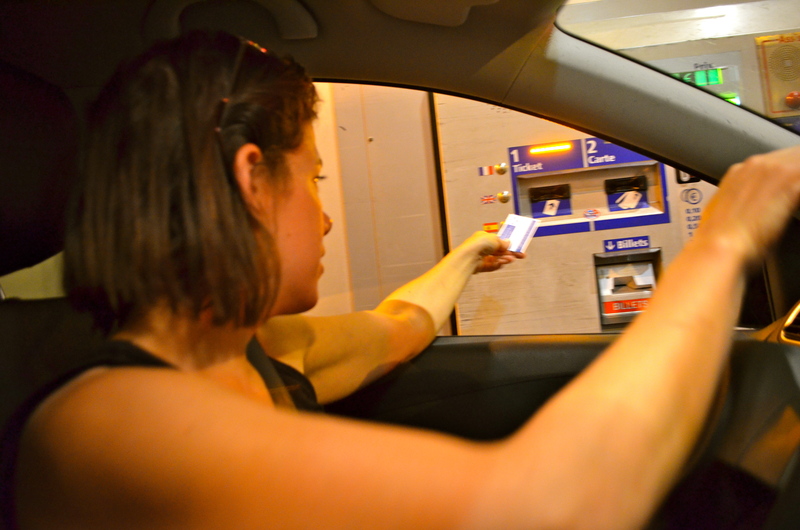 Highways in France require paying tolls. Lots of them. 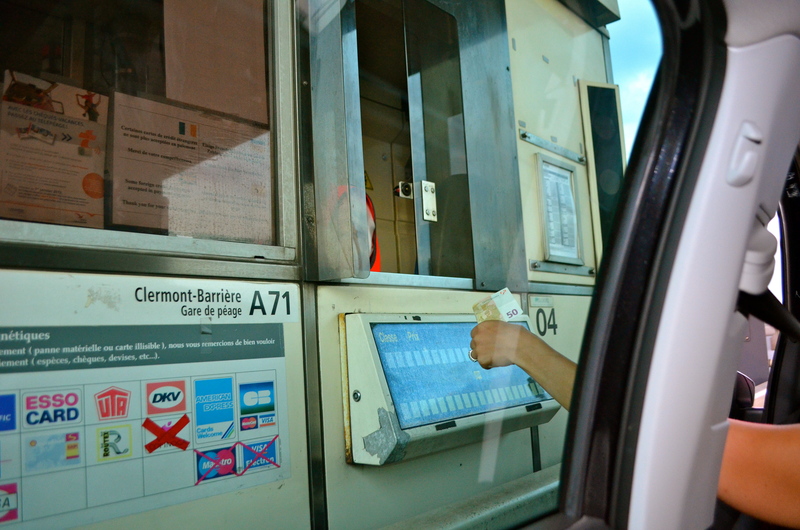 I can’t remember exactly how much we spent in tolls heading from Geneva to the south of France and back, but it was well over 100 Euro and probably more like 200 Euro. 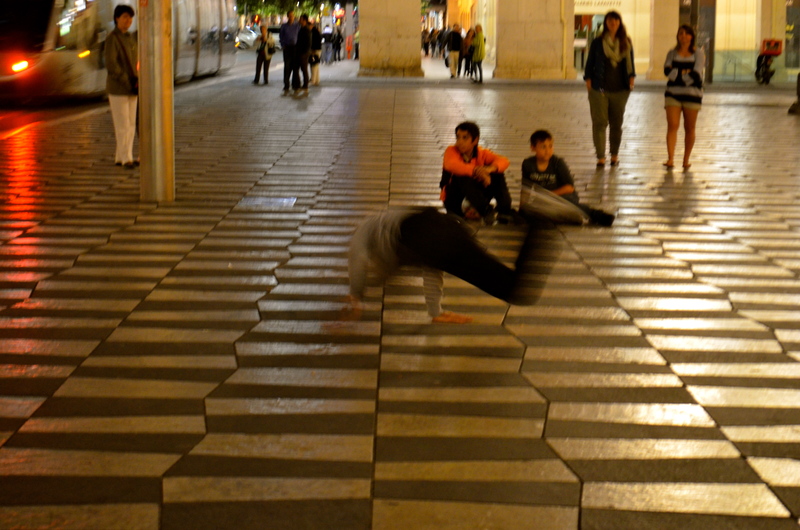 It was too painful to tabulate and made Switzerland’s 40 CHF vignette look like a bargain. 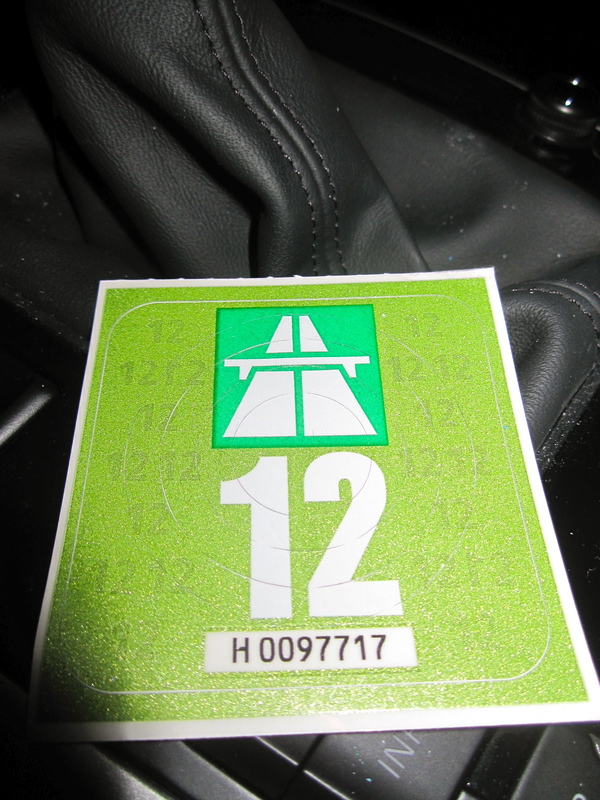 Highways in France are privatized. Therefore, if your car happened to break down on one, your auto service cannot come get you. Only certain specified highway-approved tow trucks are allowed to come get your car. I learned this little tidbit of information the hard way. In case you were wondering, you must always pay the toll when exiting the highway… even when your car exits on the back of a truck. Rest areas in France are a little different than in North Carolina. They serve real food… and wine. I was busy worrying about my car and chatting with the police, the tow truck driver, etc., so I didn’t partake (not that I had to worry about driving in the near future). It looked pretty tasty. 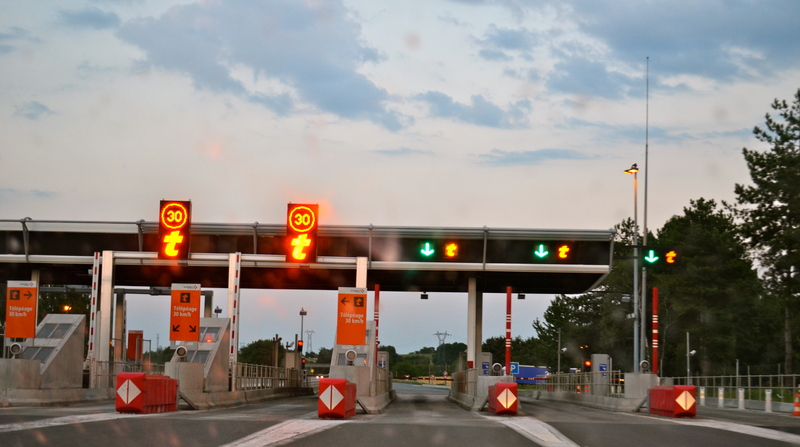 On some highways in France, they have wildlife overpasses (also known as wildlife crossings) for animals to cross the highway. 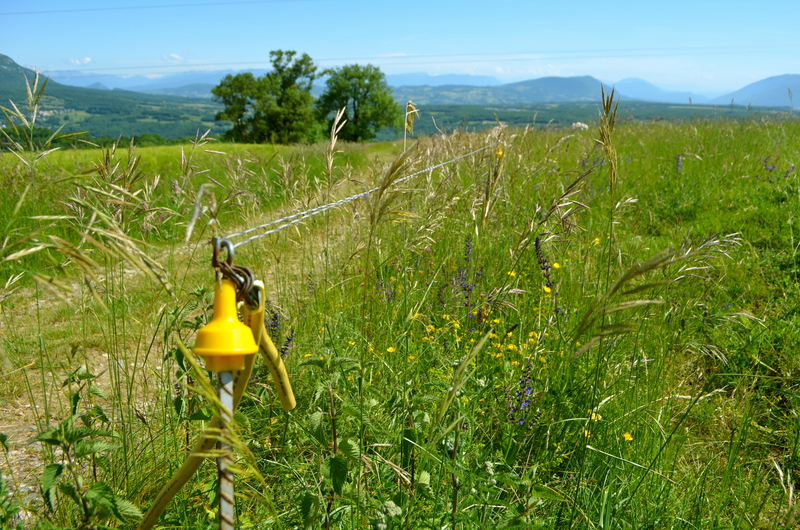 A practice in habitat conservation, it connects habitats, countering fragmentation. 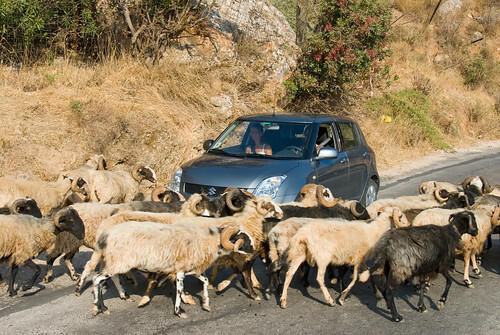 They also help prevent animals from entering onto the highway, avoiding the resulting accidents. Below is a photo of one of them. Sorry I couldn’t take one, but I was busy driving. It’s handy to avoid the scene above…or worse. 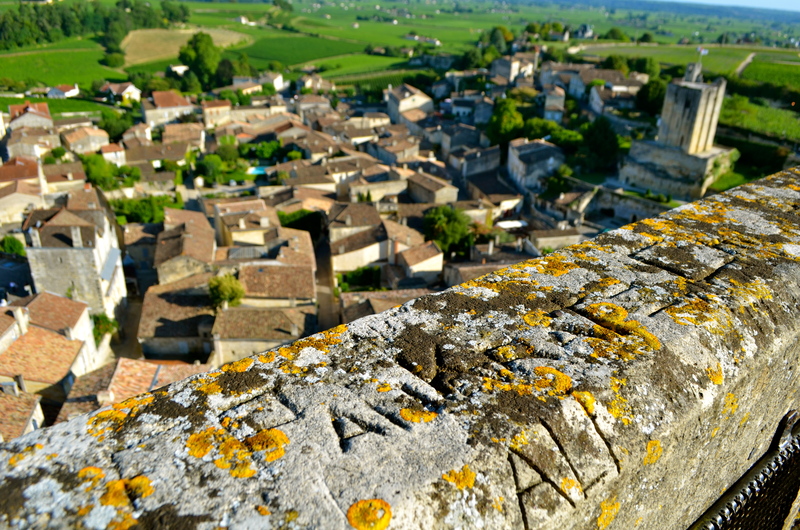 I don’t want to bore you with stories of another medieval hill town or tales of wine, but on our ladies road trip, we fell in love with Saint-Emilion and I can’t help but wax rhapsodic about it. 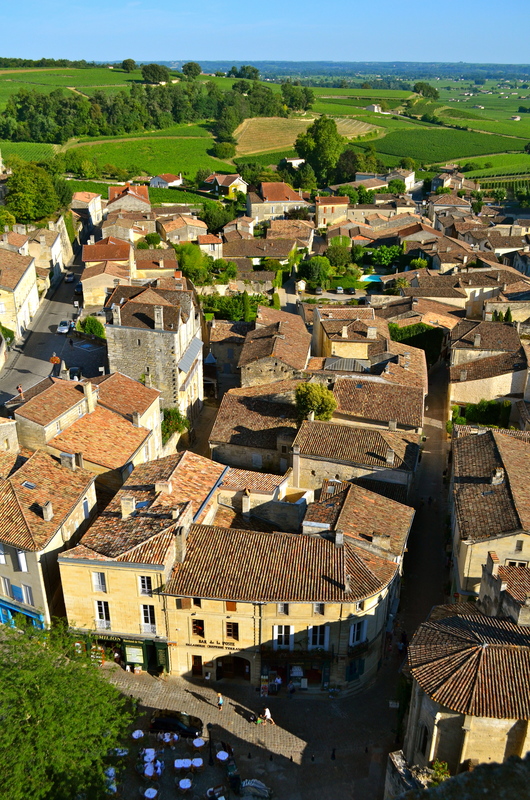 It is a gorgeous medieval hill town made of limestone quarried locally. 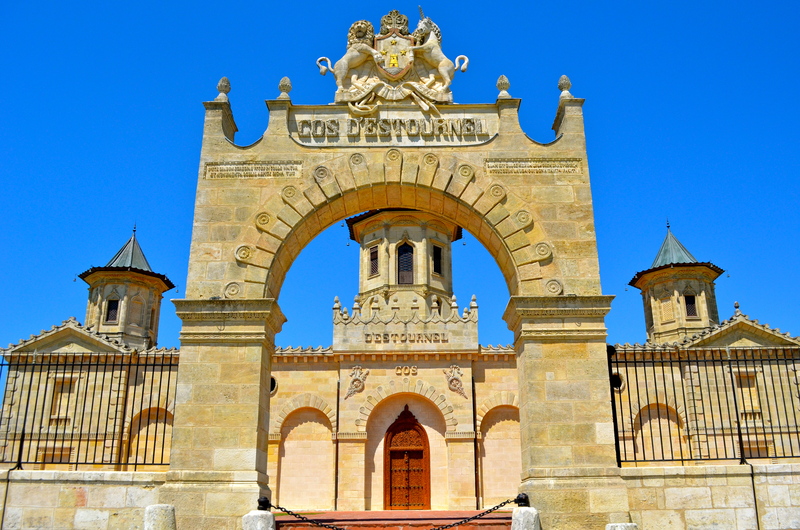 Around 5,400 hectares of vineyards and many small châteaux surround it. 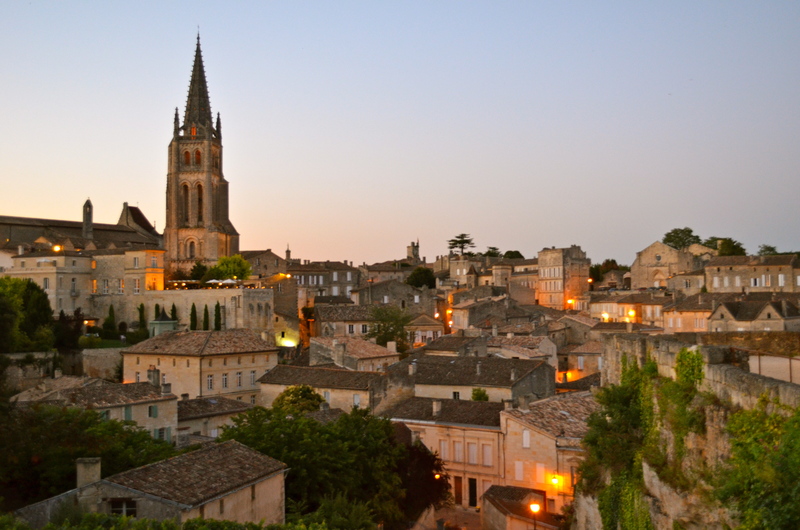 Saint-Emilion has all the accoutrements you expect in a cute french hill town, inviting squares, cute shops, cobblestones, music wafting through the air, flowers, fountains, light blue shutters that look great against the limestone…you get the idea. If I haven’t already convinced you to endure one more hill town post, that it is a UNESCO World Heritage Site probably won’t sway you either. 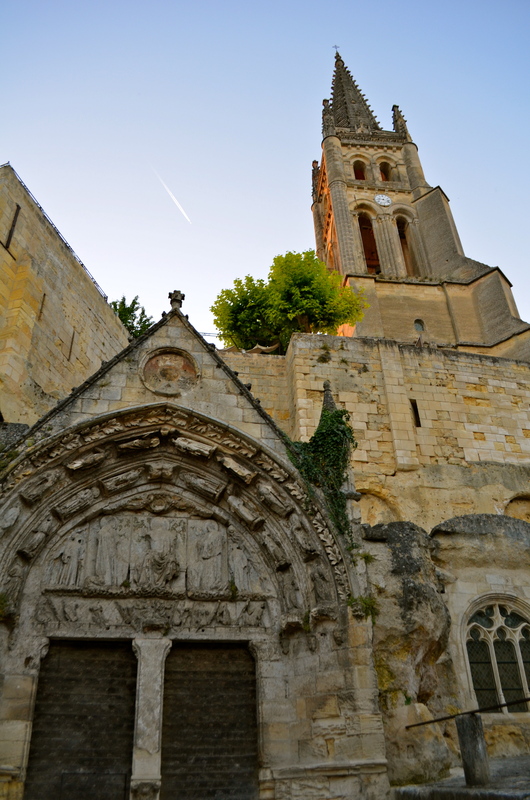 Saint-Emilion has been located on the pilgrimage route to Santiago de Compostela since the 11th century. 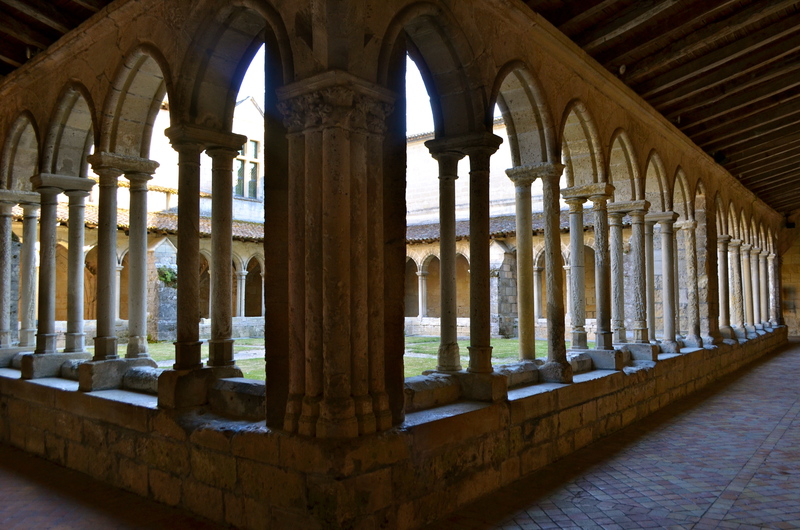 As a result, many churches, monasteries and hospices were built there. 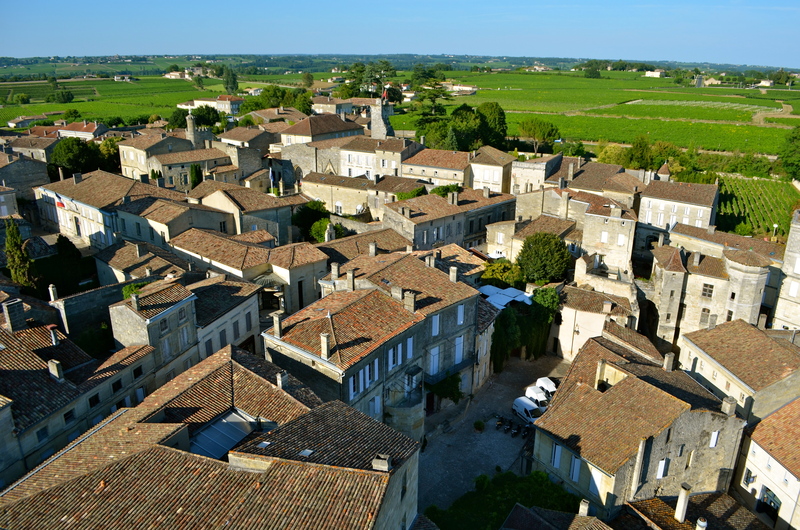 We’d heard that the bell tower of the St. Emilion Monolithic Church had the best view of the city and it was worth making the climb up the ancient winding stairs to the top of the tower. We paid a Euro or two each and grabbed the key from the Office of Tourism across the way. 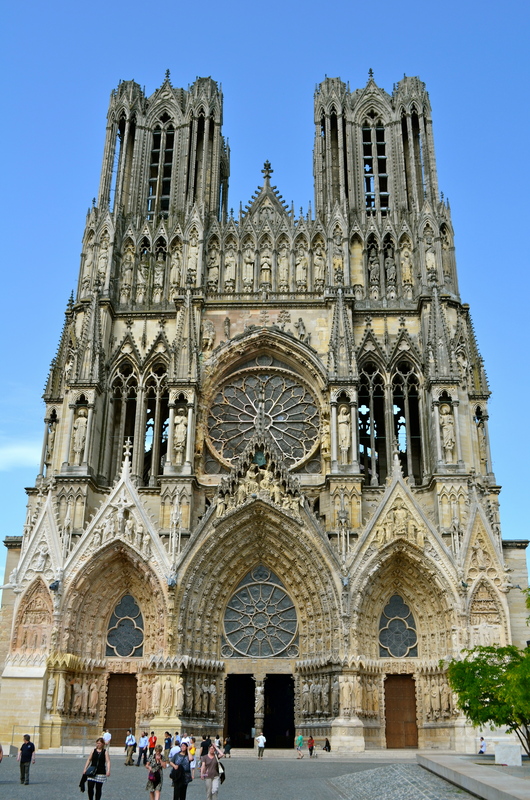 The bell tower was built between the 12th and 15th centuries. 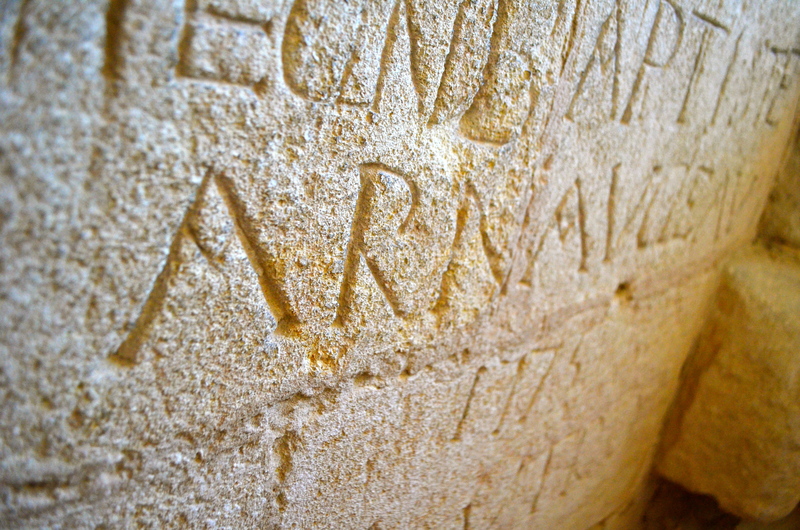 Not long after that, people started carving their names and dates into it. 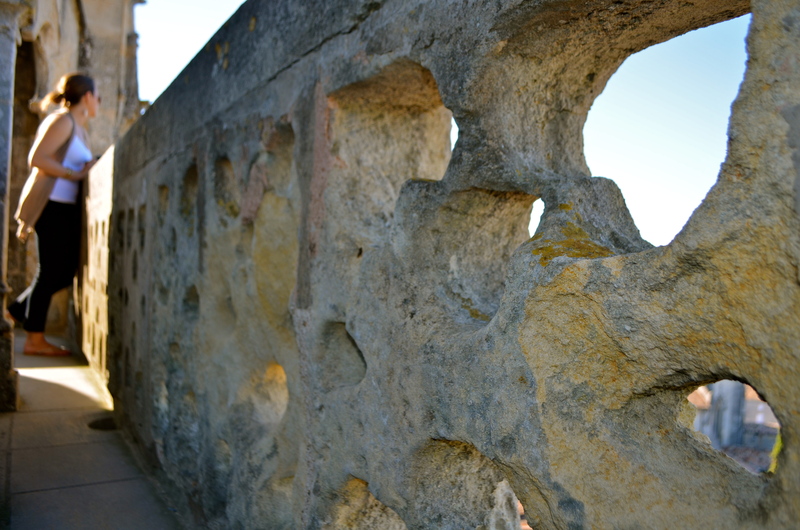 I’m a sucker for ancient graffiti. I loved searching for it and reading it. The best part though was the view. Heaven. 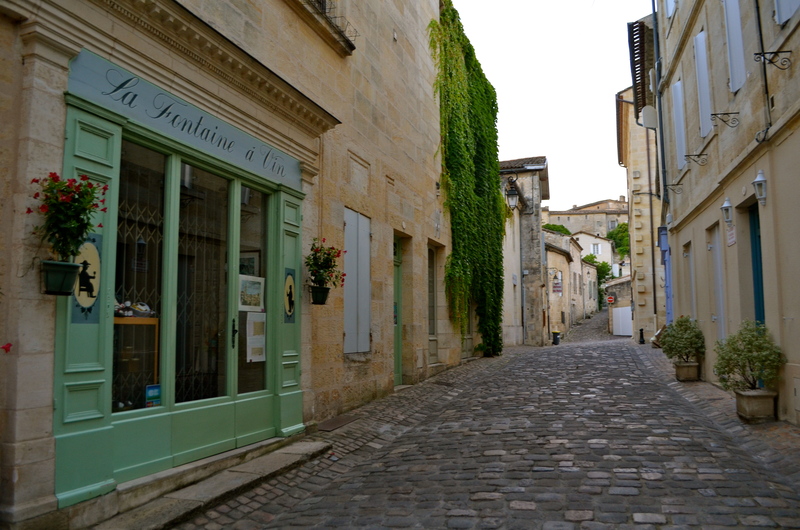 Unfortunately our, ahem, transportation challenges (broken clutch) prevented us from having more time to tour Saint-Emilion. 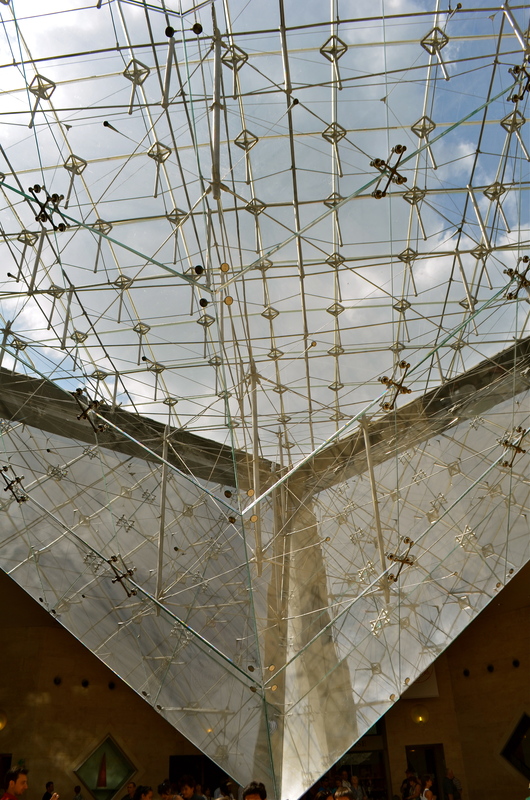 I’d hoped to see the vast limestone catacombs located under the city that contain Europe’s largest underground church. They are supposed to be amazing. 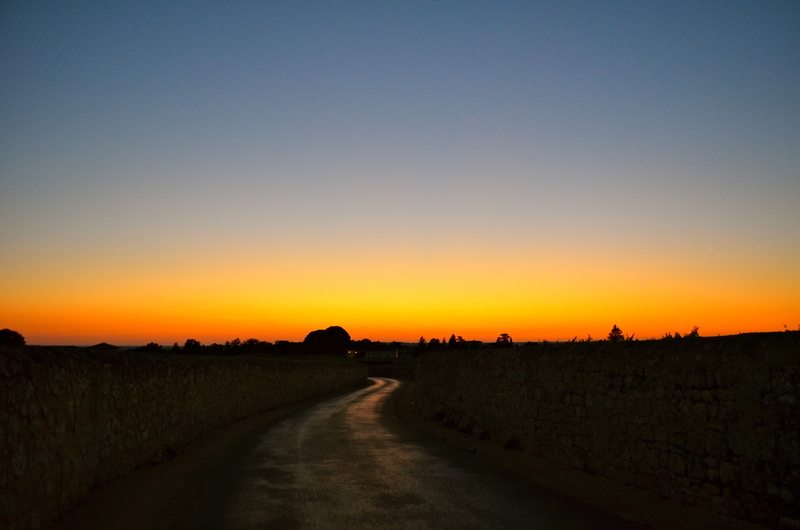 Fortunately, we still had time to check out the romanesque church and cloister, shop for antiques (you know I couldn’t pass up an opportunity to poke around this cute store), have a nice meal, listen to some street musicians, stroll the streets and catch one heck of a sunset. Not too shabby. More than just “champagne wishes and caviar dreams,” wineries today can be investments, part of a portfolio. 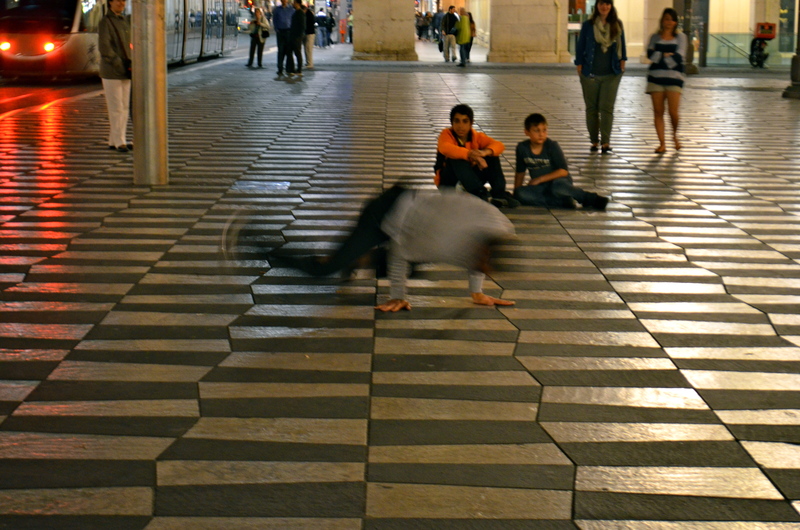 This is often the case in Bordeaux. 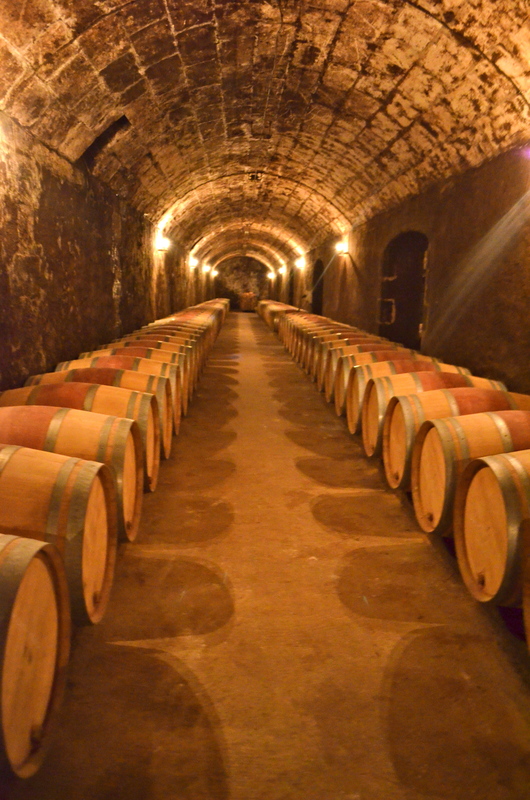 In Bordeaux, wineries are known as Chateau. They may only use the grapes from their vineyards to produce wine. As such, their size limits their production. The volume produced is further limited by the rules related to the appellation or AOC. 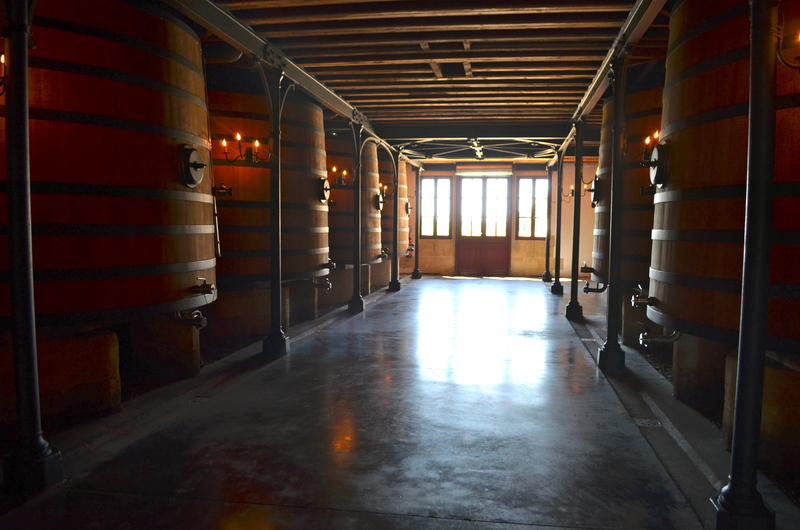 This ceiling on Bordeaux’s production cannot be significantly raised, yet wine has become an increasingly popular beverage around the world. This keeps prices, particularly for recognized and higher end labels, and making them a good investment. 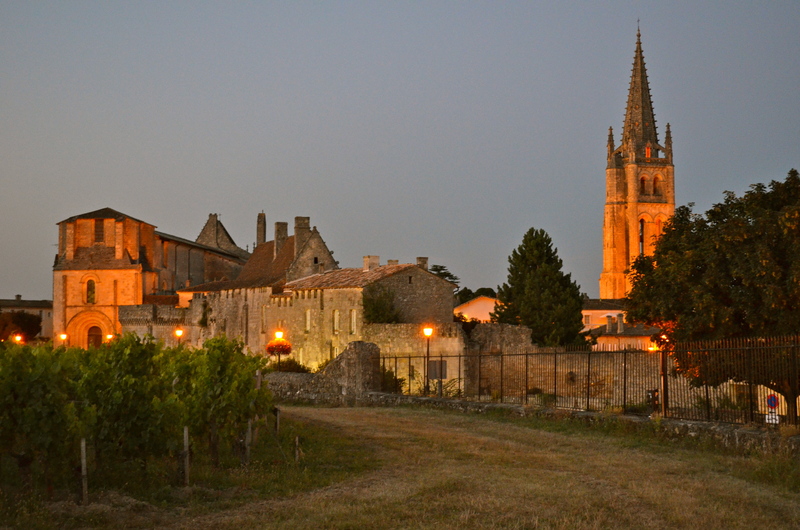 Many of Bordeaux’s Chateaux are bought by companies as investments. 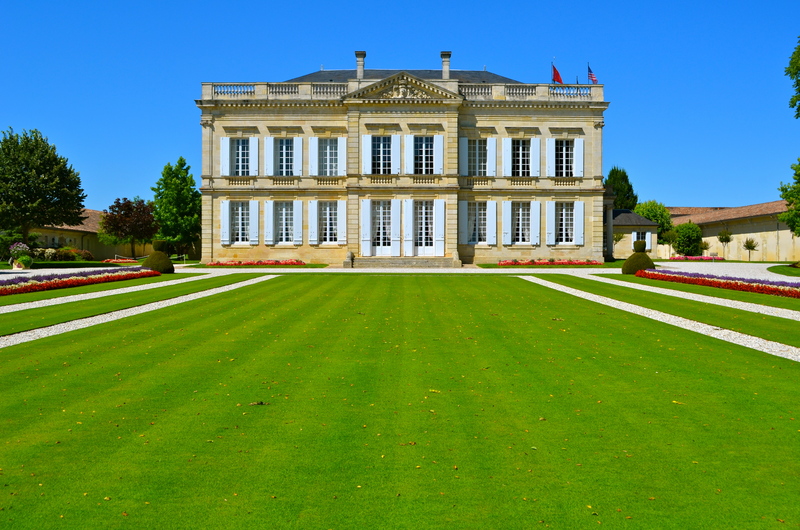 Insurance companies, banks and other large corporations own most of the Chateaux (there are still some family owned ones) A recent trend is Chinese businessmen and investors, who see Bordeaux wines as a desirable high-end product, wanting to invest in the region. 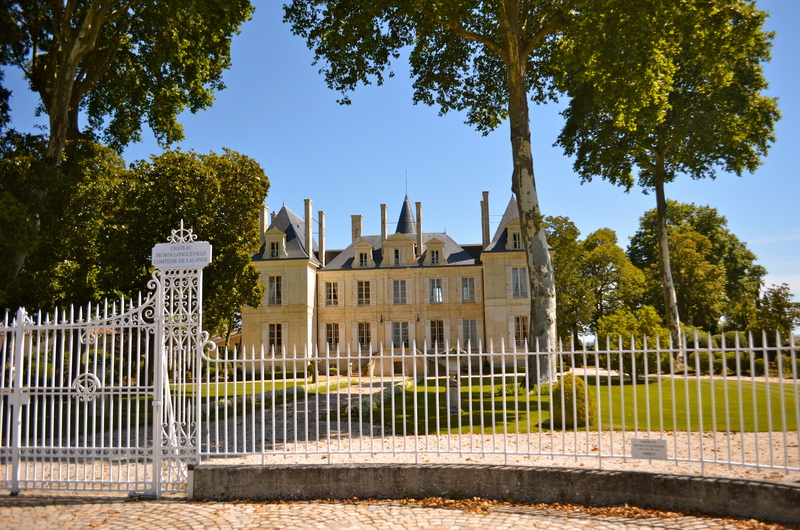 In recent years, over 30 chateaux have been bought by Chinese and many more such deals are in the works. Sometimes, the Chateau’s entire production is shipped to China. I’ve just found yet another reason to travel to China. 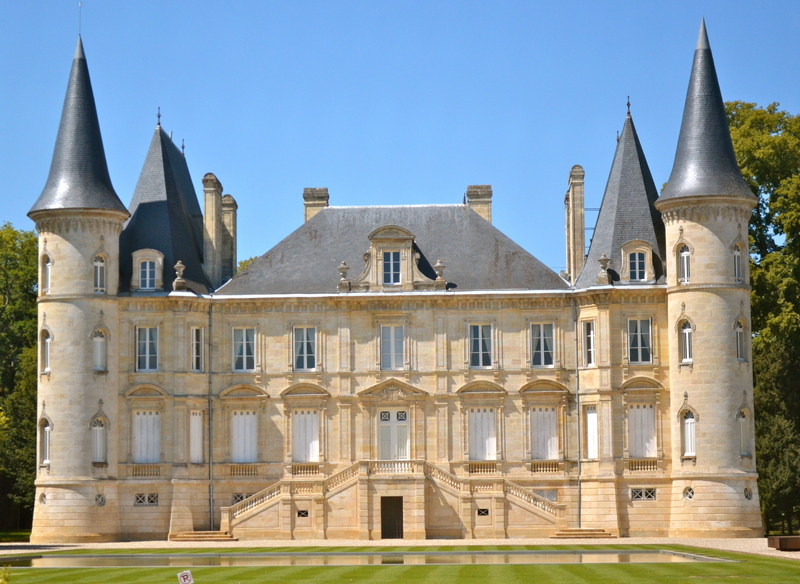 Until then, enjoy these shots of Chateaux In Bordeaux. 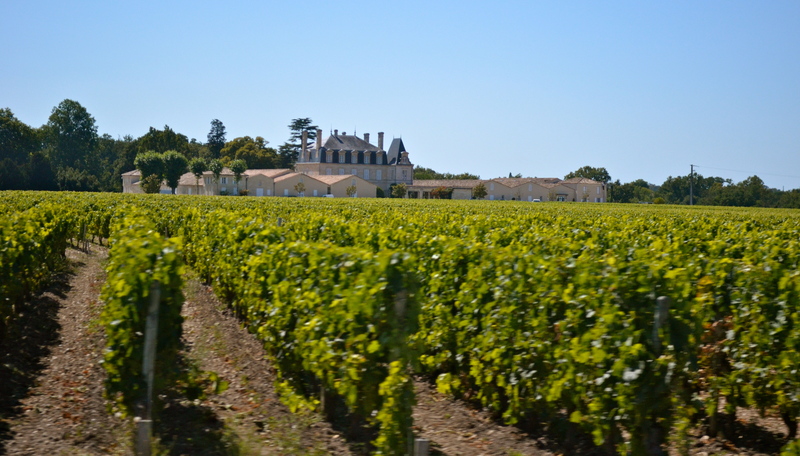 Although we could have driven from one Bordeaux winery to another, we did a tour. We did this for several reasons. I firmly believe that if you are going to drink, for goodness sake don’t drive. 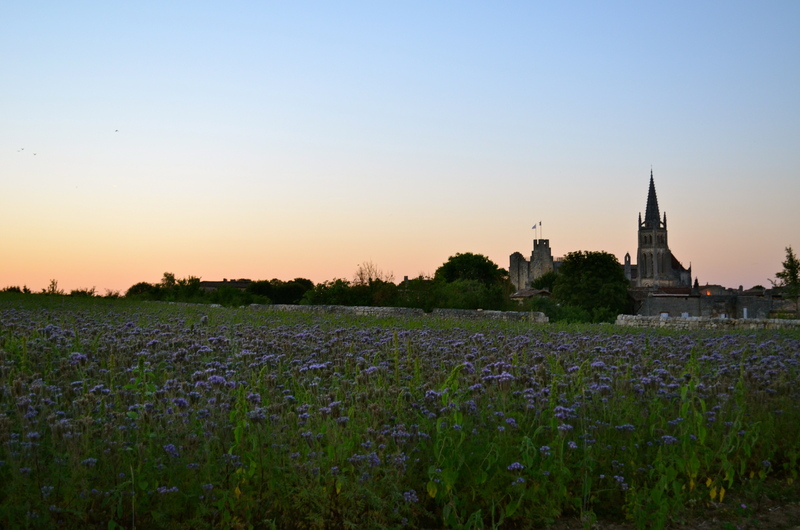 I didn’t mind driving across France, but would have hated driving around Bordeaux if it meant missing out on this once in a lifetime experience. 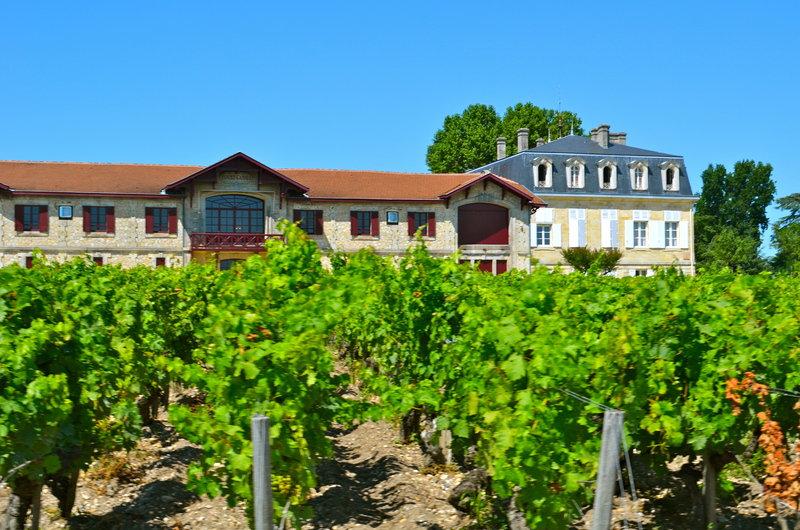 Bordeaux is massive with thousands of wineries. It’s hard to know which ones to visit. 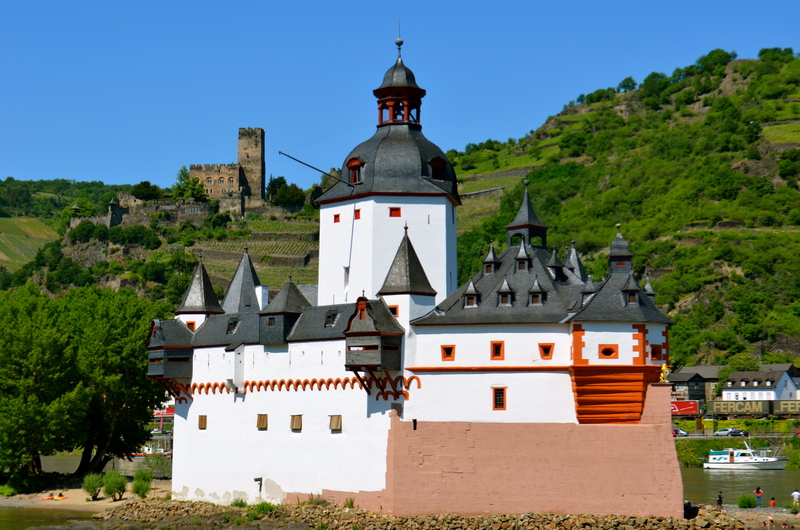 We were pleased with both the quality and variety of wineries chosen by our guide in the know. We planned this road trip days in advance. With such short notice, it would have been difficult to make all the arrangements ourselves. 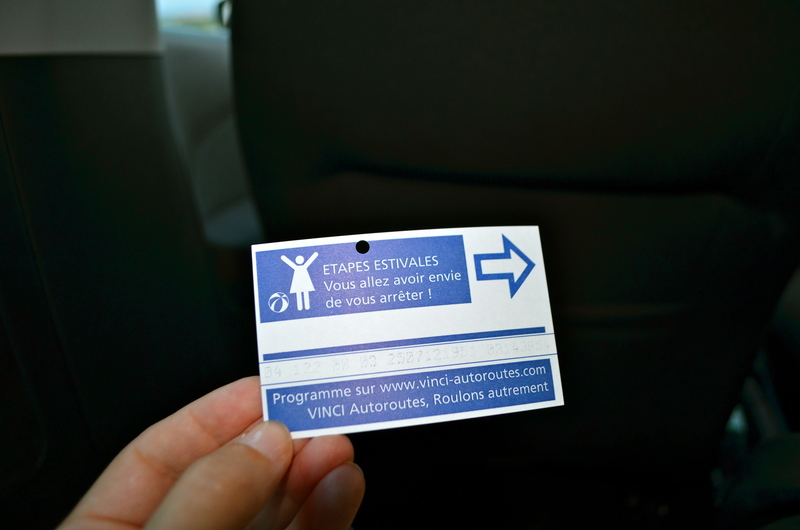 Jurgen, our guide/ designated driver chose three vastly different wineries for us to visit in Bordeaux. 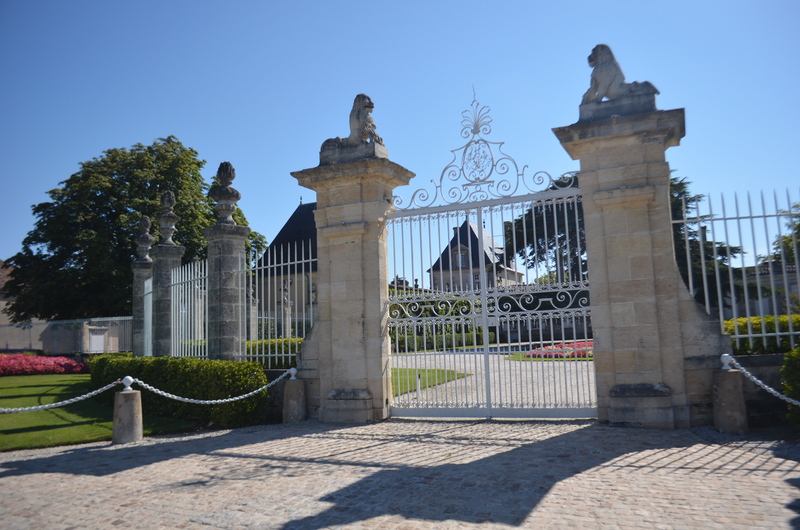 First, we visited Chateau Laniote in St. Emilion. It is a family run winery run by a delightful couple. She’s a oneologist (a wine scientist) and he’s the resident magician and jack of all trades. Their wine was tasty and a good value. I’m always interested in how family businesses operate and wish we could have stayed longer to talk with them. Unfortunately for us, they were busy racking the wine (siphoning it from one container to the next in order to leave the sediment behind). Fortunately for us, we had other lovely vineyards to visit. 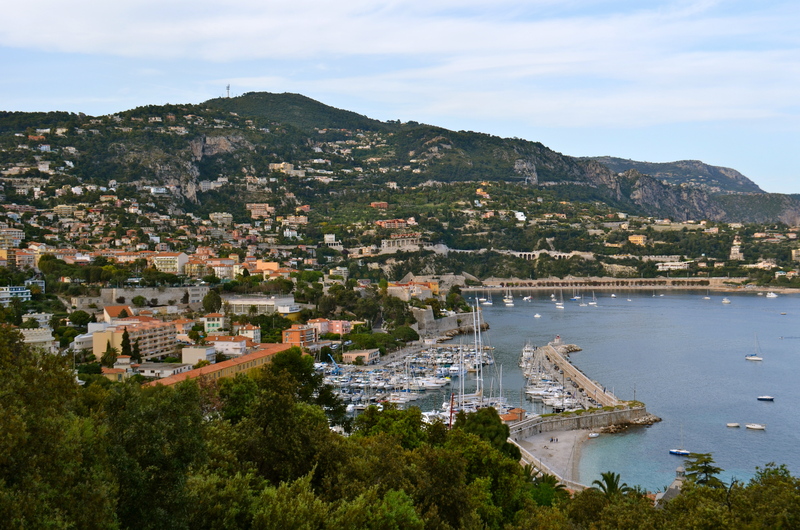 After we left, our guide told us he was a Baron. I don’t know that I’ve ever met a Baron or Baroness before. I hope as nice and hard-working as these guys. 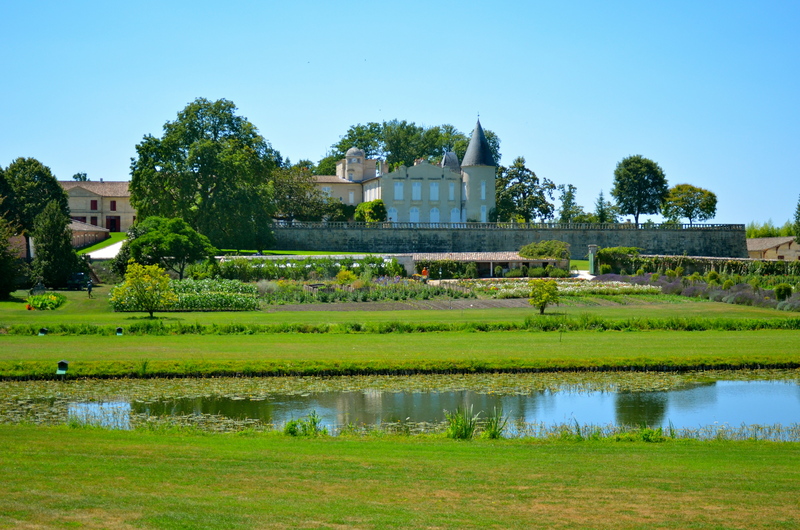 Our next visit was to Chateau Gruaud Larose (above). We had a nice guide who explained some of the unique things about their winery. 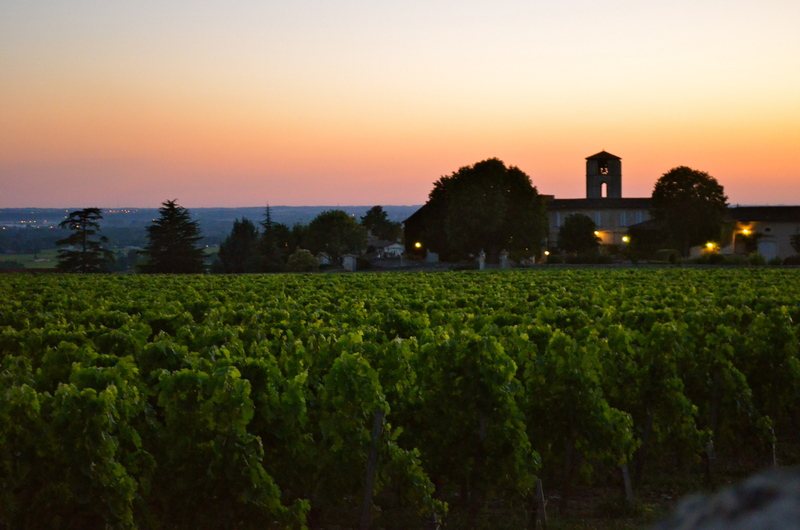 It is located in the St Julian appellation, which is known for producing full-bodied and elegant wines. They make both a first label (higher quality/more expensive) and second label (which uses grapes from younger vines and other cuvées). The second label is Sarget du Château Gruaud-Larose. 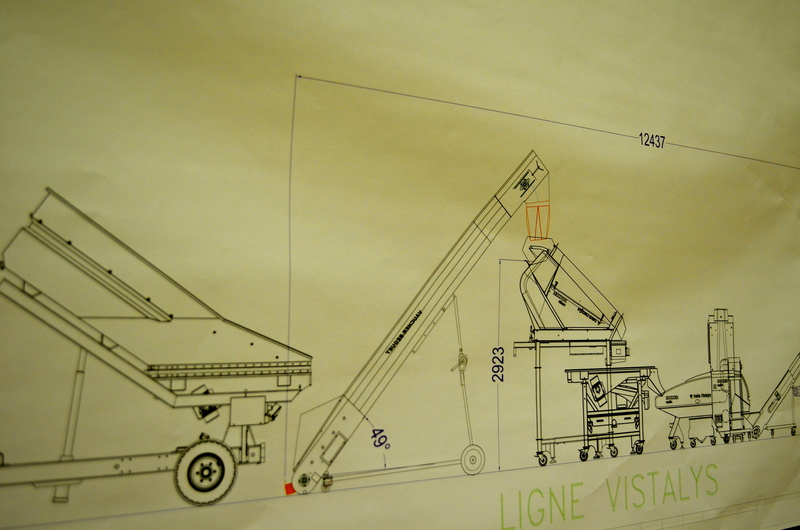 They are state of the art and have embraced technology in their efforts to produce the best wine possible. They have a weather station that is replete with a machine to break up hail, a hail gun…sort of. It is in the distance, near the furthest building in the picture above. They have a fancy-schmancy grape sorter. 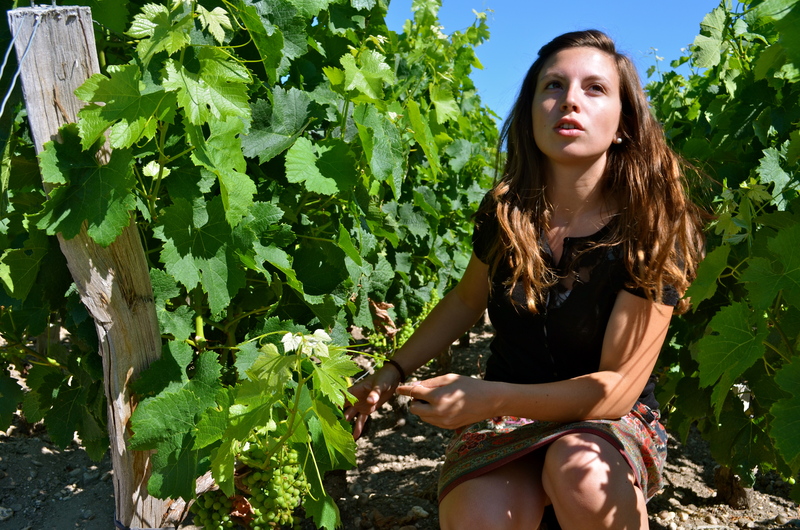 It uses high-precision cameras to electronically select only perfect, ripe grapes. 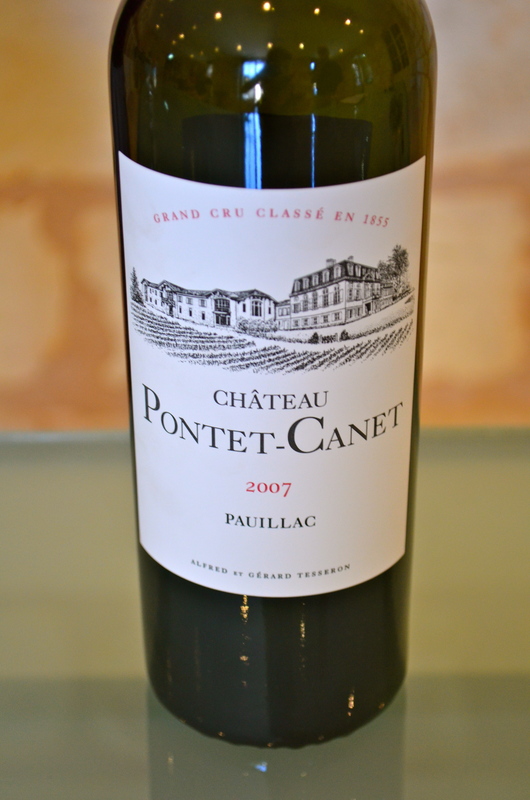 We visited the highly praised Château Pontet-Canet. 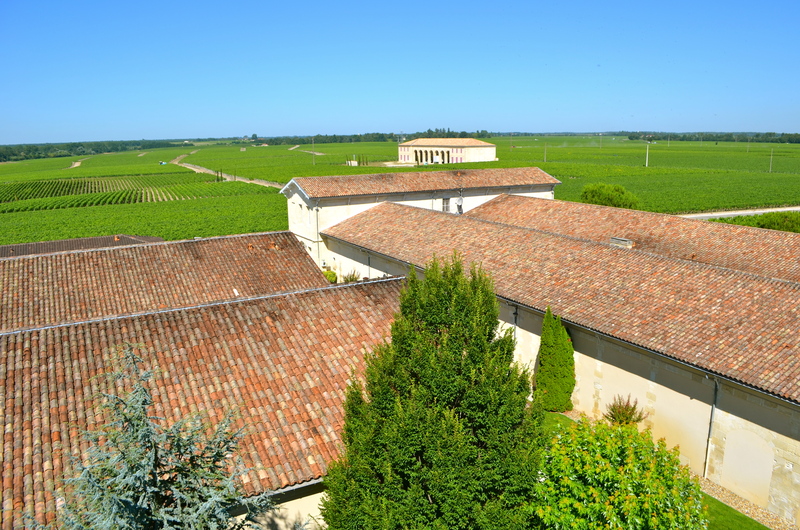 While Château Gruaud-Larose embraced technology, Château Pontet-Canet returned to traditional methods in their efforts to produce a high quality wine. Bordeaux is notorious for its adherence to rigid classifications laid out in the 1800’s. Château Pontet-Canet is classified as a Cinquième Crus (fifth growth). Our guide, Jurgen, echoed the main criticism of this rigidity when he explained to us that it meant that a fifth growth level could be better than a second-growth because of how they operate their vineyard. 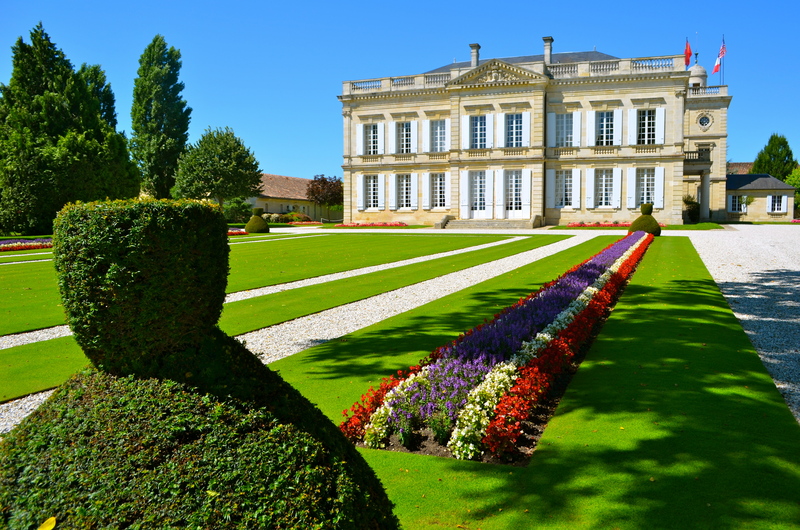 Even though it is a lowly fifth growth, it is located in the Pauillac area of Bordeaux, across the road from first growth Château Mouton Rothschild Other illustrious neighbors include: Château Lafite and Château Mouton. Some of the world’s most highly respected and expensive wines. Even at several hundred dollars a bottle, people still argue that it is underrated and a terrific value. Once-derided, this winery’s quality has steadily risen, particularly after its conversion to biodynamics. This 2007 vintage is controversial because it resorted to chemicals to treat oidium and mildew, a decision they now regret. That being said, I tasted it and it was pretty darn good. 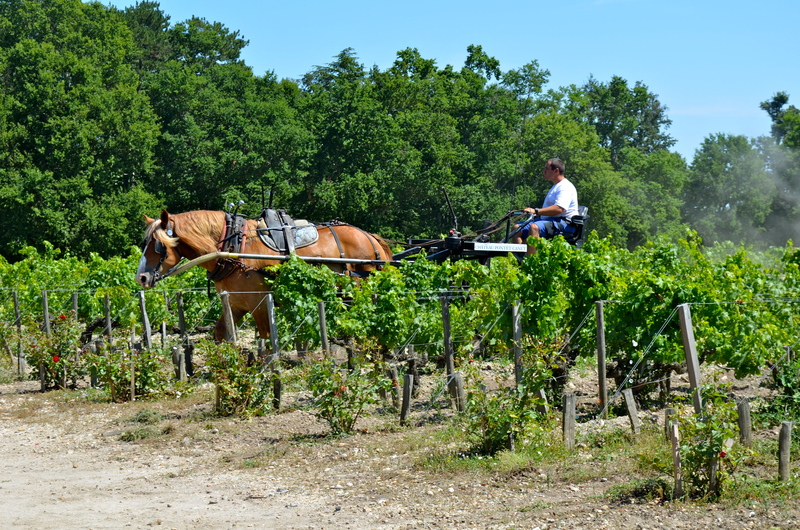 They use horses in the vineyards. 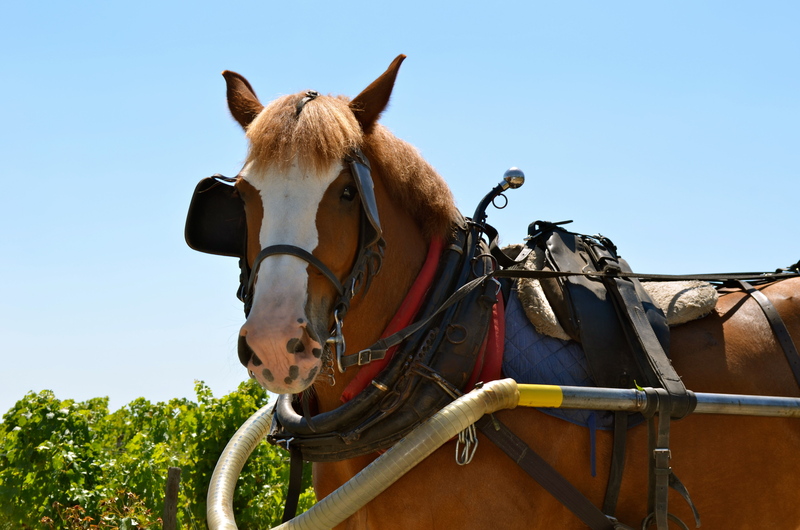 Horses compact the soils less, and do not damage the vine’s roots like tractors. They sort grapes by hand, worried that an automated sorter would damage the grapes or crush them unnecessarily early. 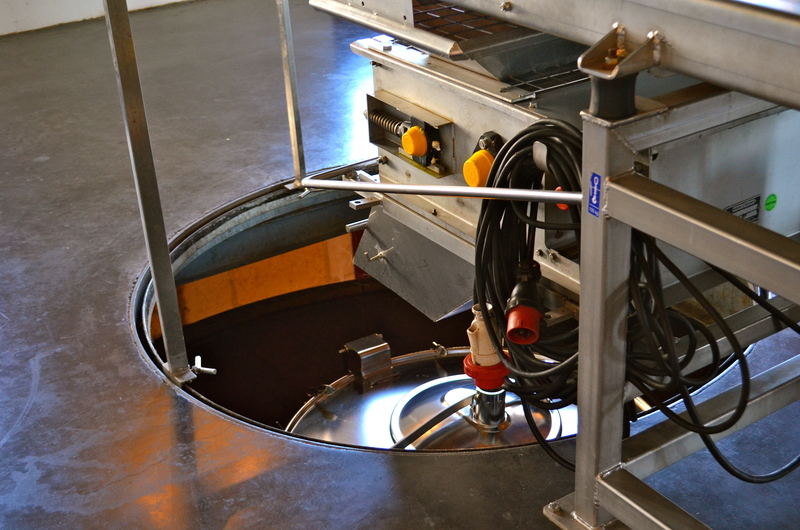 After the manual sorting, their grapes drop directly into tanks in the floor below.